To pursue a centre of excellence for clients, owners and employees' needs with total commitment, pride and integrity, by promoting quality in all tasks. 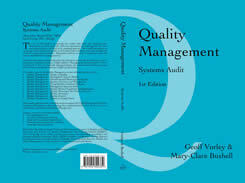 QM&T are offering the complete selection of the CQI and IRCA certified courses in Quality and Auditing. See link below for more information regarding these courses which are offered at 3 different levels. ISO 9001 Awareness, Lead Assessor, Internal Auditor, Implementation. 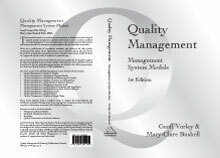 Quality Improvement Tools: Balanced Scorecards, Failure Mode Effect Analysis and Root Cause Analysis, QFD, Value Analysis, Six Sigma, Statistics, poka-Yoke. 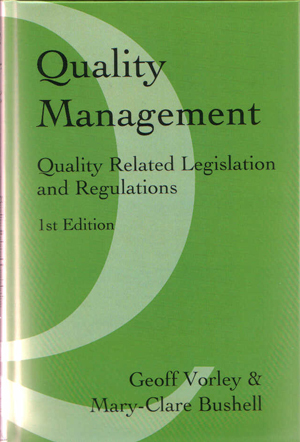 A wide range of books that cover all aspects of quality, environmental, Health & Safety and security are available from QM&T. Listed below are only a few of our best selling books. QM&T can help your company achieve accreditation and provide in-house quality support. We provide this assistance to large and small companies, including long-term provision of Quality Managers and Auditors. Established in 1984, QM&T has been a provider of “quality” products and services. 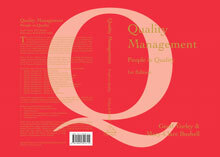 QM&T are members of the British Quality Foundation (BQF) and affiliated to the Chartered Quality Institute (CQI). They are a registered and accredited education centre for both NEBOSH (National Examination Board in Occupational Safety and Health) and the CQI. QM&T offer wide selection of distance learning courses in Quality Assurance / Quality Management, environmental and Health & Safety. 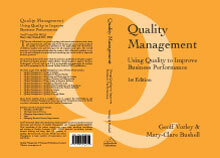 QM&T students have won Best CQI Student Awards. We have an excellent reputation and a great track record in helping students maximise their potential by providing dedicated support and guidance throughout their course. QM&T are renowned for the quality of their training, but also for their extensive range of services they offer. Their consultants’ experiences are broad and varied. They have been involved with a wide range of companies including, software houses, research and development establishments, aerospace and automotive manufacturers, government departments and hospitals. 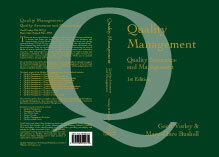 The Directors are authors of books and numerous articles on Quality Assurance. QM&T have helped many companies in: successfully implementing ISO 9001; preparing quality procedures and manuals; training of quality auditors e.g. GMP and GLP in the Blood Transfusion service; ISO 9000 workshops / small contractors; research projects with the Health & Safety Executive; the writing of training manuals in Statistical Process Control and FMEA; Consultations with the Health Service with regards to the application of quality assurance; the application of ISO 9000 in the Royal Navy, REME, and various other Ministry of Defence departments, including research organisations. Our track record of 100% pass rate or ISO 9000 first time every time is our testimony of thoroughness and practicality.